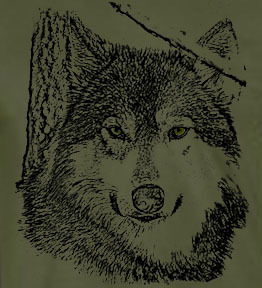 Our Wolf Stare T Shirt is made right here at Wolf Howl Animal Preserve. This design features our Lone Wolf, Waya. He is as handsome as he is intense. This 100% ultra cotton tee is preshrunk. Machine wash warm inside out and tumble dry medium.